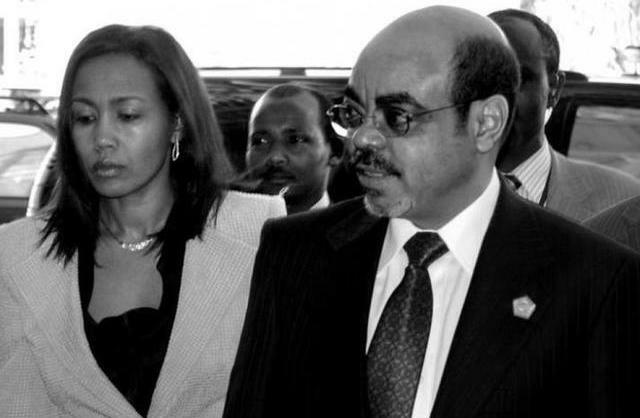 ADDIS ABABA, ETHIOPIA — An Ethiopian journalist has been arrested and interrogated for writing an article about the wife of late prime minister Meles Zenawi. Wednesday’s arrest came as a surprise since the article was published seven months ago. Ethiopian journalist Ferew Abebe, editor-in-chief of the weekly publication Sendek, said he was summoned Wednesday to the Federal Police Crime Investigation Department office. He was interrogated about an article he wrote and published seven months ago and was accused of defaming the former first lady, Azeb Mesfin. Ferew said he was very surprised about the interrogation and being treated like a criminal. He said the federal police asked him many questions and wanted him to reveal his sources. They then took his fingerprints, personal details and photos before releasing him on $265 bail. Asked for comment, an official in the Ethiopian prime minister’s office, Getachew Redda, said he has no knowledge about journalists being interrogated for writing rumors about the former first lady. According to the published article, the wife refused to leave the prime minister’s palace weeks after the death of her husband, making it impossible for Meles successor Hailemariam Desalegn to move in. The federal police say someone filed a complaint about the article, but would not say who. Ferew was summoned Wednesday morning to appear at the police office and he said he was not told why. By the time the interrogation started, he said, he did not get the chance to contact his lawyer. Ferew said he was not intimidated by the government’s actions. He said that he knows he did his work professionally and that this gives him strength to not hold back in the future. Prosecutors say they are looking into the case and will take Ferew to court if there is enough evidence. Rights groups say Ethiopia has a poor record when it comes to freedom of speech for local journalists. The New York-based Committee to Protect Journalists says seven Ethiopian journalists currently are in prison. The appeal of prominent blogger Eskinder Nega was denied earlier this month, meaning he has to serve an 18-year jail sentence. Read more news at VOA.